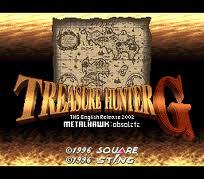 All games in category "RPG"
Treasure Hunter G (トレジャーハンターG, Torejā Hantā Jī?) 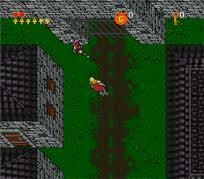 is a turn-based tactical role playing game developed by Sting Entertainment and published by Square (now Square Enix). It was released on May 24, 1996. It was published on the Nintendo's Virtual Console service on December 25, 2007 in Japan. The game was not released outside of Japan. This was Square's final game for a Nintendo console, released a scant two weeks before they announced their departure from Nintendo, until the release of Chocobo Land: A Game of Dice for the Game Boy Advance in 2002, in Japan. Ultima VI: The False Prophet, released by Origin Systems in 1990, is the sixth part in the role-playing video game series of Ultima. It was the last in the "Age of Enlightenment" trilogy. Ultima VII: The Black Gate is the seventh installment of the Ultima series of role-playing video games, released on April 16th, 1992. The Black Gate was critically acclaimed and commercially successful, being widely lauded as a high point in the series and as one of the best RPGs ever created. In an interview with GameSpot, Richard Garriott stated that Ultima VII "was the most masterfully executed of the Ultima series." 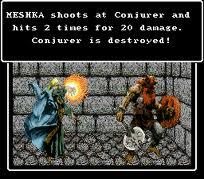 He has also often stated that the game was, along with Ultima IV, his own favorite installment overall. 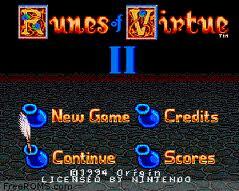 Ultima: Runes of Virtue II was developed by Origin and published by FCI for the Nintendo GameBoy in 1993. A port for the SNES followed in 1994. Like its predecessor, Runes of Virtue, this is mostly an action-adventure game similar to the Legend of Zelda and offers basically the same gameplay. The land is however much bigger this time, with actual cities to explore and more NPCs to see, and longer dungeons. Like the first episode, this game is again capable of multi-player. 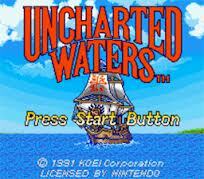 Uncharted Waters, normally released as Daikoukai Jidai (大航海時代? ), is a popular Japanese video game series produced by Koei under its "Rekoeition" brand.It is a simulation and role-playing video game series dealing with sailing and trading, themed around the Age of Discovery. In the games, the player takes up the role of a captain (or commodore in some translations) and manages a seagoing fleet to participate in trades, privateering, treasure hunting, exploration, and plain piracy. Even though the series is largely open-ended, there is still a loose plot which requires the player to follow certain paths, and deviating from these paths may stall the progress of the story.In East Asia, the series has a large cult following, but it has not received much recognition outside the region. However, it has been compared to the earlier Sid Meier's Pirates! in gameplay and theme. Uncharted Waters, normally released as Daikoukai Jidai (大航海時代 Daikōkai Jidai? ), is a popular Japanese video game series produced by Koei under its "Rekoeition" brand.It is a simulation and role-playing video game series dealing with sailing and trading, themed around the Age of Discovery. In the games, the player takes up the role of a captain (or commodore in some translations) and manages a seagoing fleet to participate in trades, privateering, treasure hunting, exploration, and plain piracy. Even though the series is largely open-ended, there is still a loose plot which requires the player to follow certain paths, and deviating from these paths may stall the progress of the story.In East Asia, the series has a large cult following, but it has not received much recognition outside the region. However, it has been compared to the earlier Sid Meier's Pirates! in gameplay and theme. Ys IV: Mask of the Sun (イースIV -MASK OF THE SUN- Īsu Fō?) 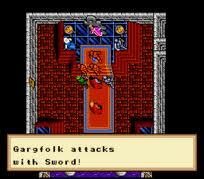 is an action role-playing game developed for the Super Famicom, and is the fourth game in the Ys video game series. 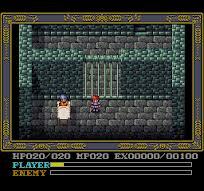 Ys series creators Nihon Falcom Corporation licensed its development to Tonkin House.Mask of the Sun was released in 1993 and was one of two games released under the title of "Ys IV", the other being Hudson Soft's Ys IV: The Dawn of Ys for the PC Engine. The two games share the same basic story, but many changes were made in the Hudson-produced Dawn of Ys. 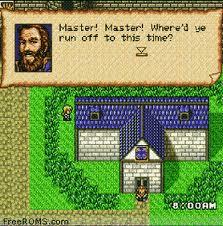 Of the two, Mask of the Sun was the official Ys IV storyline before the release of Ys: Memories of Celceta. Originally a version of "Mask of the Sun" was also planned by Sega for Mega Drive and later Mega-CD under the Sega-Falcom joint development agreement, but this version was ultimately canceled.In 2005, Taito Corporation developed a remake of Mask of the Sun for the PlayStation 2, titled Ys IV: Mask of the Sun - A New Theory.